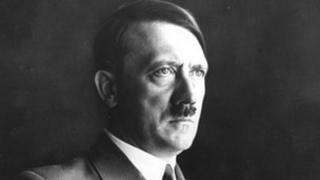 A Turkish TV advert for men's shampoo, featuring Adolf Hitler, has been withdrawn following complaints from the country's Jewish community. The 12-second advert shows footage of Hitler with a dubbed voice shouting that men should not use women's shampoo if they do not wear women's clothes. Turkey's Jewish community threatened legal action over the "unacceptable" use of Hitler to promote the product. The advertising firm behind the campaign said it was "misinterpreted". On Monday, the office of the chief Rabbi in Istanbul demanded a public apology from the company "to repair the damage this commercial has caused to society's conscience". The US-based Anti-Defamation League said it was "repulsed", calling it "a disgusting and deplorable marketing ploy", Agence France Press reports. The Istanbul-based advertising firm, Marka, and the company that produces the product, Biota Laboratories, both confirmed that, after just ten days on air, the decision had been taken to withdraw the advert for Biomen shampoo. "The Jewish community seemed more upset than they were supposed to be," Beril Mardin, account director with the Istanbul-based advertising firm Marka told the BBC. "Hitler is being made fun of to the utmost degree by making him star in a shampoo commercial," she said. "It is indeed most upsetting, and also surprising, that people in Turkey and around the world mistook this commercial and interpreted it very, very wrongly, as if Hitler is being portrayed as the epitome of manhood, or as if the commercial is trying to justify him or his ideology." Around 20,000 Jews live in Turkey, mainly Istanbul, a city of some 14 million Muslims. Most are descendants of Sephardim who escaped the Spanish Inquisition and found refuge in the Ottoman Empire some 500 years ago.